In Neil Stephenson’s latest novel, Anathem, his protagonist cautions, "You should not believe a thing only because you like to believe it!" Reiterated throughout Anathem and referred to as "Diax Rake," this admonition is a reminder to prevent subjective emotions from clouding objective judgment. Repeating this mantra can benefit anyone, but it is especially important for reviewers and buyers of high-performance audio gear. I remind myself of the wisdom distilled into Diax Rake whenever I audition pedigreed equipment, and particularly when I audition components made by Ayre Acoustics of Boulder, Colorado. That company, its design team and products, have earned my respect and admiration again and again. When I bought an Ayre K-5xe preamplifier in 2003, my passion for music was revitalized, and I started down a path of system building that resulted in my writing for several audio publications before graduating to contributor status at the SoundStage! Network. The KX-R preamplifier costs $18,500 USD, and its packaging understandably departs somewhat from Ayre’s usual austere, less-is-more packing. On opening the double-boxed enclosure, I first saw a heavy-duty ziplock poly bag containing a copy of the high-gloss product manual, a product registration card, and a pair of white gloves with which to protect the gleaming KX-R from fingerprints. Also included was a remote control of extruded aluminum. Under these was the KX-R itself, entombed in form-fitting, closed-cell polystyrene foam. Under the top panels of foam, the component itself was double-bagged, first in thick poly, then a close-fitting sheath of padded velvet, to protect its finish from any scratch or blemish. Extricating all three components from their packaging required a bit of muscle. Despite their relative smallness, the Ayres’ weights were surprising: At 40 and 52 pounds, respectively, the KX-R and each MX-R monoblocks ($18,500/pair) are extremely dense. Each of Ayre’s R-class chassis begins life as a 75-pound billet of aluminum, which is machined in several stages. The first step creates the exterior dimensions. The KX-R, at 17.25"W x 3.75"H x 11.5"D, is of normal component width but is quite low-slung and rather shallow. Each MX-R is the same height, but reoriented by 90 degrees. Thus, it is 11"W x 3.75"H x 18.5"D, which allows the monoblocks to "hug" their companion speakers. Three short (about 0.25"), rectangular feet support each component. While the KX-R’s exterior surfaces are uniformly smooth, the MX-R has 18 recessed heatsinks hewn into the rear two-thirds of its chassis top, running across the top and continuing a third of the way down each side. Each R-class chassis has beveled edges, which contributes to a sleek, contemporary appearance. In the second step of the machining process, the interior of the billet is hogged out to form individual, shielded chambers. This work is done through a large opening in the bottom surface; when the bottom plate is affixed and the component is righted, the result is an utterly seamless unit. The MX-R has separate cavities for the amplification circuitry and output devices (opposite the external heatsinks), the two EI transformers, the logic controls, the input IEC and Ayre Conditioner, and the lead for the Cardas binding post. In the KX-R, discrete chambers immediately behind the front surface house the display, logic, and control devices and the central transformer, with the remaining compartments laid out in mirror-image fashion down the center line to accommodate the fly-by-wire motors, the volume-control subassemblies, and the all-important short-signal-path analog circuits. Wiring channels are embedded in the interior walls of both components to provide further shielding of critical circuits and signals. The final step completes the finish. Ayre considered multiple alternatives: a mirror-like polish, a satin finish, or the stripes often seen on watch movements (e.g., the circular graining of a Patek Phillip or the Glashutte ribbing of an A. Lange & Söhne). In the end, they settled on a "lenticular" finish, which is a variant of circular graining. This catches and reflects light in a unique manner, imparting both sheen and a sense of luxurious solidity. Each MX-R is an entirely analog, zero-global-feedback, fully balanced, dual-differential monoblock power amplifier that produces continuous-power outputs of 300W into 8 ohms, 600W into 4 ohms, or 1200W into 2 ohms. Befitting their fully balanced, dual-differential topology, each MX-R sports only a single, balanced (XLR) input. (External RCA-to-XLR adapters are available from Ayre or Cardas.) Rounding out the rear end of the amp are Cardas binding posts (able to accommodate an extra set of spades for external biwiring), an IEC power input (for stock or aftermarket power cords), and a pair of AyreLink communication ports. With the MX-R, Ayre ushers in a new era in circuit design in the form of their EquiLock circuit. Accordingly to Ayre, the EquiLock is a specific form of cascode circuit. Not to be confused with a cascade circuit (typically, a chain of two completely ordinary circuit elements), a cascode is a circuit type first used in the 1940s, as part of the war effort, to develop radar and similar technologies. According to Ayre’s founder and chief designer, Charles Hansen, a cascode circuit "consists of a common cathode (normal) stage driving a common grid (unusual, and normally only used for high frequencies) stage." Ayre asserts that applying such a topology to an audio circuit means that the EquiLock transistor can stabilize the operating parameters of the gain transistors, with the result of greater linearity. When asked how much of the MX-R’s performance is due to EquiLock, Hansen was coy: "It is hard to rank features in terms of how much they affect sound quality. One of the main things was that we built a great sounding prototype for the 2006 [Consumer Electronics Show]. But after that there was no big hurry to put the unit into production -- I just fiddled, and fiddled, and fiddled with the circuit for four months until I felt that it was done. That fine tuning may have been as big a factor as anything." In any event, since its introduction, the EquiLock circuit has found a home in new Ayre gear wherever there is "gain," including in the KX-R preamplifier, the power supply for the Ayre/DPS turntable, the QB-9 USB DAC, and the DX-5 Universal A/V Engine. Another first introduced in the MX-R was the use of the ThermalTrak output devices from On Semiconductor. As the temperature sensor is embedded within the device rather than being attached to its exterior, real-time optimal biasing is achieved. As for the dual transformers of the linear analog power supply (the chassis shape dictated the use of two smaller EI transformers rather than a single large one), one generates the positive voltage, the other the negative voltage -- a creative solution. Other notable features include circuit boards made of an ultra-low-loss material, custom-developed audio-grade resistors, proprietary polystyrene capacitors, and, of course, an Ayre Conditioner for RFI filtration of the power line. The MX-R’s input impedance of 2 megohms -- that’s right: 2 million ohms -- approaches the theoretical ideal of an infinite input impedance. Powerful enough to drive the harshest speaker load, the MX-R monoblock is like a big cat in its lithe combination of strength, speed, and stealth. Into my Vandersteen 5A loudspeakers, with their nominal 4-ohm load, each MX-R delivers 600W, to exert total control over the speakers. Poised is a good word to describe these amps -- they’re always ready to pounce, yet such is their level of composure that they possess an uncanny ability to get out the way, never calling attention to themselves. When first installed in my system, the MX-Rs challenged many of my preconceived ideas about musical playback. I had always believed that increased speed and resolution would benefit good recordings, but would unduly spotlight limitations in lesser source material -- a tradeoff perceived to separate the tubed camp from the solid-state. 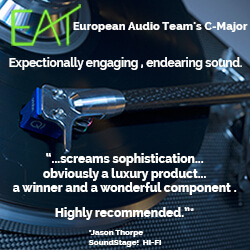 Nevertheless, once the MX-Rs had been broken in (it took about 300 hours), I heard levels of detail higher than I had previously enjoyed, together with a sense of tempo and musical coherence that transcended the quality of the recording. The performances themselves, rather than particular attributes of the recording and production processes, were consistently brought front and center. While lesser components tend to exacerbate source-related problems, or to hide them behind a veil of euphonic colorations, I now know it possible to find electronics that can overcome such deficiencies to deliver both the "hi-fi" goods (transparency, soundstage, detail, speed, et al.) while retaining an ability to communicate artistic intent. For me, this has been a revelation, and has established a new foundational requirement for any new equipment I might consider granting permanent domicile in my reference system. Ayre’s KX-R line-stage preamplifier has eight inputs: four balanced (XLR) and four single-ended (RCA). It has two pairs of balanced (XLR) outputs, and two balanced (XLR) tape outputs. On the front panel, the central display is flanked by two dials and two buttons controlling, from left to right, On/Standby, Source selection, Volume, and Mute. Those controls are repeated on the full-function, backlit remote control. Ergonomic touches include the activation and naming of each input, which can be given such family friendly labels as Vinyl, CD, or Blu-ray (only activated inputs can be selected). Balance control is available for each input, along with ±3dB of gain to facilitate level matching. The silky-smooth operation of the fly-by-wire rotary controls is lust-inspiring, and the two buttons are soft-touch. Unless you pine for tone controls or a polarity-inversion switch, the KX-R covers all the bases. In the 18 months that separated Ayre’s release of the KX-R line-stage preamplifier from its slightly older sibling, the Ayre team was busy engineering further R-class advancements. While the KX-R piggybacked on the chassis and EquiLock innovations debuted in the MX-R, the KX-R’s highlight must be its Variable Gain Transconductance (VGT) volume-control circuit. Ayre’s VGT differs from traditional volume controls, which are normally separate circuit elements, by being embedded in the main gain block. Traditionally, the volume control first attenuates the incoming signal, after which a fixed amount of gain is added. With the VGT, the gain stage itself is modulated to provide gain that is variable in 60 increments of 1dB each. According to Ayre, this provides two significant benefits, which Hansen describes more succinctly than I could. First, the circuit sounds the same at all volume settings: "We’ve always striven to create circuits that sound the same at all volume settings. . . . [A] normal volume control is a string of resistors (or a potentiometer) that drives a following circuit. The following circuit always has some amount of input capacitance. The output impedance of the volume control in conjunction with the input capacitance of the circuit produces a high-frequency rolloff. The Variable Gain technology of the KX-R eliminates this problem altogether." First, in a traditional preamplifier, the signal first passes through a selector switch, then through the volume control, and finally to the gain stage. It is therefore the volume control that establishes the input impedance. In such a design, loading ranges from 10k to 100k ohms. The 10k choice is about as low as a design can go while retaining compatibility with most source components. A low impedance will tend to give a uniform frequency response at all settings, although loading down the interconnect cable will have a greater effect on the sound. The practical maximum is 100k ohms; frequency-response problems become quite severe at that point, although cable colorations are reduced. By integrating the volume control into the KX-R’s gain stage, however, Ayre bypassed any such frequency-response problems and was free to set the input impedance as high as they wanted, so long as the gain stage could still accept the full output of any component, even of CD players putting out a signal significantly higher than the IEC standard of 2V (single-ended). As a result, the KX-R is unique in having that 1 megohm impedance for single-ended sources, and 2 megohms for balanced sources. Ayre is convinced that maximizing the input impedance minimizes interconnect-induced colorations and increases system-level accuracy. Second, with VGT the signal/noise ratio remains constant regardless of the volume setting. As Hansen informed me, "A simple way to think of a conventional preamp is that the circuitry has a fixed amount of noise, regardless of the volume setting. So when you turn the volume down you will have the worst signal-to-noise ratio. The best S/N is only achieved at full blast. 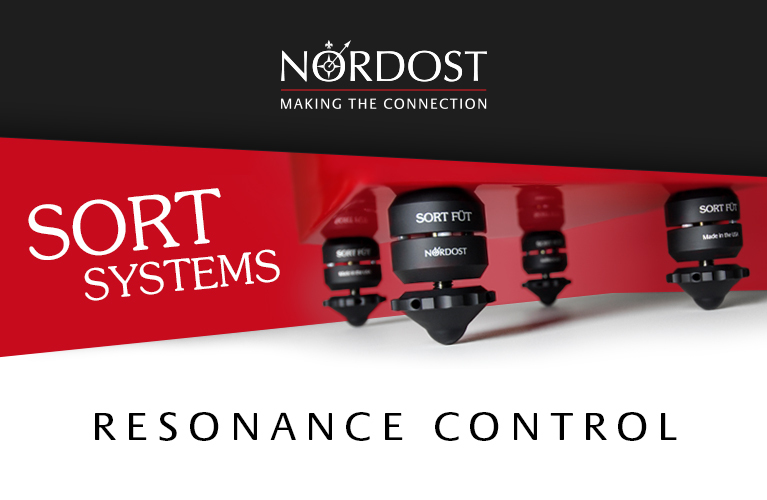 With VGT, the noise changes directly with the volume control so that the signal-to-noise is the same at all listening levels, which translates into as much as a 20dB increase in S/N in real-world conditions." My time with the KX-R confirmed the impact and importance of these critical characteristics ascribed to VGT. Other technology is baked into the KX-R. Input ground switching provides true source isolation and is a surprisingly rare feature, even among megabuck preamplifiers. The active elements of the unique fluorescent display are always "on" but do not generate electrical noise. Contrast this with standard multiplexed displays, which constantly flash segments on and off, a process that radiates noise into sensitive audio circuits. The inputs themselves are so grouped that the balanced inputs have the shortest possible signal paths. In keeping with the KX-R’s fully balanced, dual-differential topology, only balanced (XLR) outputs are offered (although, again, external adapters are available for use with single-ended power amps). During playback, the fly-by-wire controls are completely isolated from the operating circuits. The KX-R’s internal layout is completely mirror-imaged, with all key circuit areas isolated/shielded from the control and transformer compartments. All power supplies driving the audio circuits are fully regulated with discrete, zero-feedback regulators. In sum, the quality of parts is at the cutting edge; in fact, many of the devices used find their very first audio application in the KX-R. Reflecting on the KX-R and MX-R trio led me to Jasmine, a duet album by pianist Keith Jarrett and bassist Charlie Haden that is my favorite album of 2010. After listening for the better part of six months to the 16-bit/44.1kHz file I’d ripped from the CD (ECM 2165), I splurged and bought Jasmine as a high-resolution download (24/44.1 FLAC, ECM/HDtracks). While the sampling rate is the same for both versions, the latter’s eight extra bits of word length proved a revelation, and validated what more than one recording engineer has told me: When comparing the enhancements attributable to 24-bit word length and to increased sample rates of 88.2, 96, 176.4, or 192kHz, the biggest impact results from the longer digital word. Doubling or quadrupling the sampling rate may double or quadruple the information, increase the frequency response to well beyond 20kHz, and allow for better-sounding digital filters -- but those extra eight bits provide, at least theoretically, 256 times the information density. Through the Ayres, the instruments took on added form and heft, becoming an intertwining presence when originating from the hi-rez source material. When I listened closely, the added detail became immediately obvious, but because the entire performance was so compelling, the desire for such deconstruction was fleeting. With Jasmine, I found that increased resolution equated to increased relaxation and musical enjoyment -- which brings me back to the KX-R. As with the MX-R monoblocks, this preamplifier enabled greater retrieval of detail from the recording, which resulted in a higher degree of involvement, enjoyment, and honesty. Ayre’s R-class gear eschewed such parlor tricks as overemphasizing leading-edge transients, which can tantalize in a short demo but becomes tiresome and even irritating over the long haul. Instead, they relied on musical integration. Just as Jarrett and Haden play to each other’s strengths on Jasmine, the KX-R and MX-R together exceeded the sum of their sonic parts. Recently, I’ve spent considerable time thinking about the different qualities attributed to tubed and solid-state amplification, and specifically the contrasts between the solid-state KX-R and Audio Research’s wonderful Ref 5 tubed preamp (currently under review). A generalization often made by members of the tube camp is that solid-state gear tends to devitalize and sterilize the music. While there may be grounds for such generalizations even among very expensive solid-state gear, they did not apply to the Ayre KX-R, which distinguished itself from the field by transmitting intact all the emotional vitality, verve, and vigor of my favorite recordings. A perfect example was another stalwart of my 2010 listening retinue, the 1963 release John Coltrane and Johnny Hartman (LP, Impulse!/Original Recording Group ORG 18), which pairs vocalist Hartman with Coltrane and his quartet. Hartman’s silky-smooth, sensual baritone meshes with Coltrane’s passionate, lyrical side. The colossal talent and effortlessness on display were beguiling through the Ayre combo as was the effervescent energy throughout this album’s six songs, all but one of which was recorded in a single take. 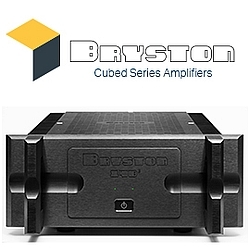 Another attribute on which tube aficionados focus their attention is the ability of tubed amplifiers to generate a round, fully realized soundstage of three-dimensional instruments in a three-dimensional space. Through a great tube preamplifier such as the ARC Ref 5, I can immediately hear and be enveloped in such a deep, rounded soundscape. Solid-state electronics have much more difficulty with this. Many transistor-based, high-performance audio products -- and almost all "consumer electronics" -- simply flatten the three-dimensional soundstage into two. Better solid-state gear develops a sense of three dimensions, but tends to layer two-dimensional instruments on separate planes on a three-dimensional stage. The effect is similar to Disney’s early experiments in animation with the multiplane camera. When you watch Snow White (1937), there is a clear sense of three dimensions -- multiple planes of depth exist, from the foreground, to the several planes on which the characters appear and interact, and finally to the background. But within each plane, the individual elements themselves remain flat. The best solid-state amplification begins to flesh out the individual instruments and players. A piano or double bass begins to sound like a physical object occupying and radiating sound in a real space, as did Jarrett and Haden’s instruments in Jasmine. A singer like Johnny Hartman starts to have rich, palpable body. The Ayre KX-R and MX-R come closer to realizing the roundness achieved by leading tube contenders, resulting in a deep ellipse -- still not round, but getting close. 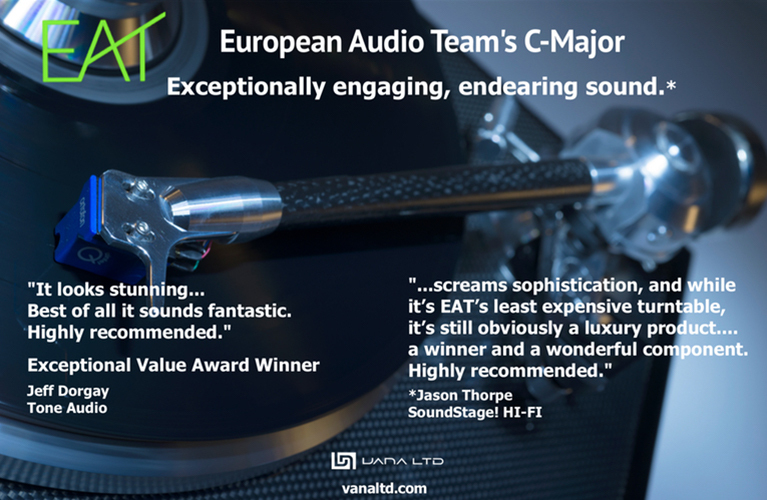 It was only with the Vandersteen Seven loudspeakers gracing my system that I could fully comprehend the true extent of Ayre’s achievement. The KX-R and MX-R combo is unequaled in its ability to simultaneously present macrodynamic and microdynamic information. Only a handful of other electronics come close, almost all of them tubed. So detailed and yet so relaxing was the Ayre-Ayre-Vandersteen combination that at times it felt as if dust motes stirred by the performers were illuminated in the recording space. The MX-R monoblock amplifiers signified the dawning of a new era at Ayre. 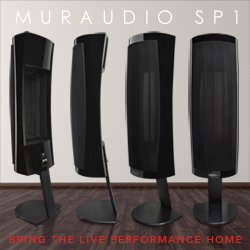 With their prodigious power capabilities, they can drive the difficult loads of low-sensitivity speakers with aplomb. Most important, however, they deliver the sonic goods, possessing that very rare ability to communicate in captivating fashion even the music on less-than-stellar recordings. That multiple tube fanatics of my acquaintance have ditched their tube power amps in favor of MX-Rs says it all. As for the KX-R, I can’t say enough good things. I believe it to be the most complete product Ayre has ever made -- a defining achievement for a company known for its string of audio achievements. The KX-R is an ideal reference tool for my life as a reviewer, and an ideal instrument for my audiophile passions. Individually, the Ayre MX-R monoblock amplifiers and KX-R preamplifier are world-class. Combined, they produce a paradigm shift in solid-state performance, achieving Charles Hansen’s aim of uniting, without compromise, the vitality, musicality, and sense of real instruments in real spaces presented by the very best tube amps, with the dead-quiet backgrounds and top-to-bottom consistency of the finest solid-state products. These are my most highly recommended reference components. Price: $18,500 USD per pair.